Terms of the investment have not been disclosed. 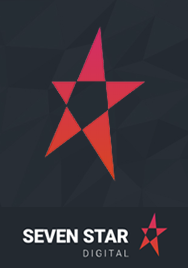 To learn more, visit: www.sevenstardigital.com --ENDS-- About Seven Star Digital Seven Star Digital was established in 2016 with a simple aim: to provide a better gambling comparison experience for consumers in the UK and beyond. The company has grown significantly since launch, using cutting-edge digital marketing to help hundreds of thousands of players find their perfect online gambling site. For further information, contact: David Merry, [email protected] / www.ki.uk Luke Eales, [email protected] / www.sevenstardigital.com About Kinetic Investments Kinetic Investments provide entrepreneurs with the capital and support required to transform their vision into a success, in return for shared ownership of the company. Ki invests £10k-£1m in early stage start-ups, from Seed funding to Series A rounds.